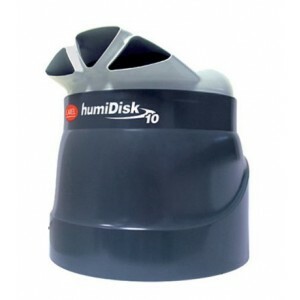 Perfectly Humidify Almost Any Large Room or Storage Area with a Powerful Commercial-Grade Centrifugal Humidifier. Here We Offer a Powerful Cool Mist Unit That Can Maintain 20-90% Humidity (+/-2%) at Low Temperatures Using Regular Tap Water, and Modularity for Connecting Several Units Together for the Best Quality Moisture in Large Food Preservation Areas, Cold Storage, Textile Mills, Wine Cellars, Printing Shops, Antique Shops, Cigar & Tobacco Humidors, Industrial Facilities and Much More, At a Discount Price with Free Shipping! humiDisk uses a spinning disk to atomise water. Very small droplets are blown into the controlled environment by a built-in fan where they evaporate to humidify and cool the air! 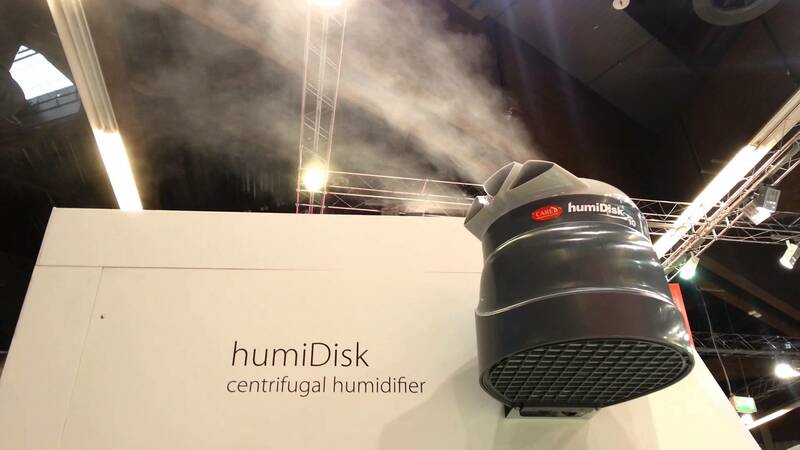 humiDisk is a centrifugal humidifier that uses a rotating disk to atomize the water into millions of tiny droplets which, driven by a built-in fan, are released into the environment humidifying and cooling the air. humiDisK is available in two versions: the version with a capacity of 1.0 l/h is compact, easy to use and can be controlled by an external switch or by a humidistat; an external electrical panel (optional), allows the modulation of the capacity produced (from 1.1 to 6.5 l/h), the management of washing cycles at the start and end of the cycle and the activation and control of the anti-freeze device (also optional). Thanks to the ability to work at low temperatures (≥ 1°C) and to the very thin diameter of the droplets produced, humiDisk is particularly suitable for installation in refrigerating rooms and in storage warehouses for products like fruit and vegetables. However, the compact design and the excellent performance make humiDisk a versatile product for many other applications, such as the direct humidification of printing industries, textile industries, etc. low power consumption: around 31 W per kg/h of output. textile industries, where the right humidity reduces the breakage of the fibres and problems due to dust, while the adiabatic cooling process absorbs the heat generated by the looms. 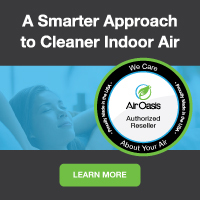 Air Purifiers and Cleaners.com offers only the best humidifiers for commercial and industrial use, with clean, hygenic moisture, maximum control and multiple options to fit almost any situation. And since we are an online store with very low overhead, this enables us to offer these amazing ultrasonic humidifiers at the best discount prices with free shipping and expert support. If you have questions, give our experts a call toll-free at 1-800-701-2513. We are here to help!